The 360° Screening tool helps you get an overview of all the challenges that are – or may be – on the mind of the entrepreneur or business owner. 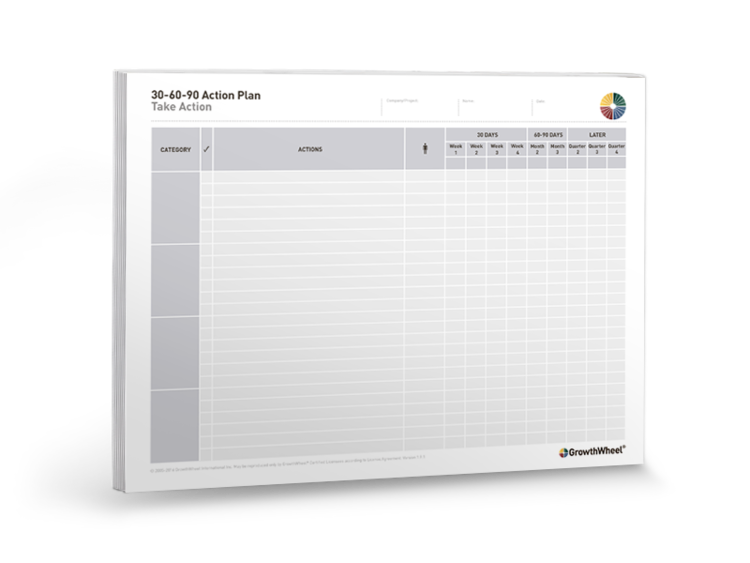 It's a scoreboard where you and your client can draw up a visual profile of how the business is doing and identify the future growth opportunities and obstacles.The result is a clear mind and full overview of what to focus on. 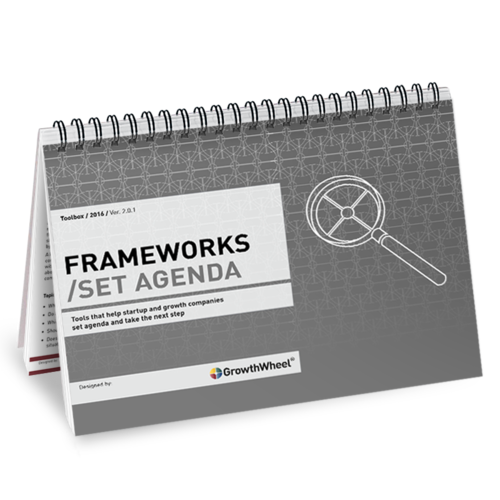 Because all Focus Areas in the GrowthWheel Framework are well-known to both the advisor and the client, the screening can be made by either one as a preparation for a one-to-one session. For most people this will take less than 10 minutes. 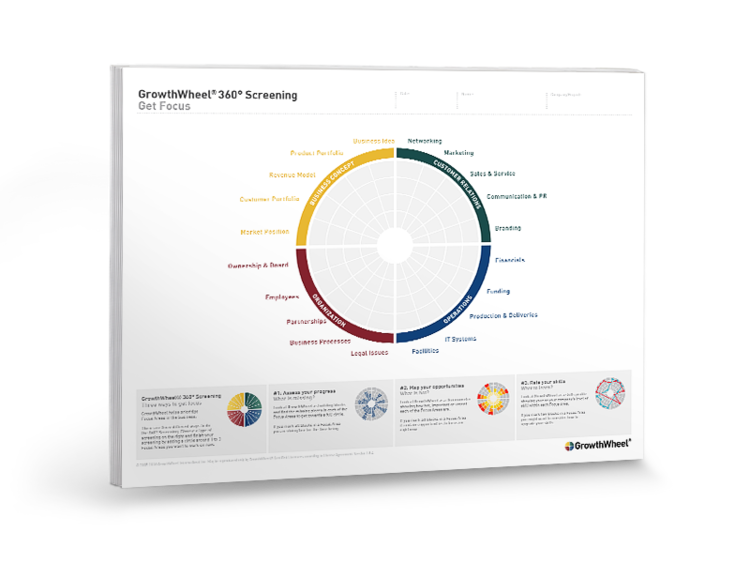 The 360° Screening can be done at the GrowthWheel Online platform where advisor and client can share comments and produce reports. The tool is also available on paper so it can be used like a pad to sketch notes as the conversation is taking place. 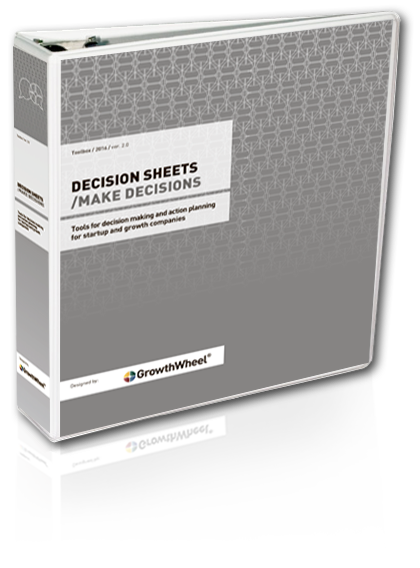 A 360° Screening with GrowthWheel is not based on a questionnaire with 100 questions that gives you a certain score. It’s an intuitive process where the advisor or entrepreneur indicate the progress or importance of an area with a simple (%) scale. The 360° Screening can help focus on the right topics in three different ways, which support the way advisors and entrepreneurs already think. You can make a screening to assess progress in different areas, a screening to map opportunities, or a screening to rate skills. No matter how the screening is done it will work as a starting point for a discussion between the advisor and the client. A discussion which will end with an agreement on the scope of work: where to make decisions and take action.